Back around the New Year I wrote a little about some of my resolutions for 2010. One big one was "Focus." I really want to pursue a more focused life-style and game plan for 2010, one that narrows in on the things that really matter to me (like emboldening my love for Jesus and people around me as well as producing great designs and creative projects). 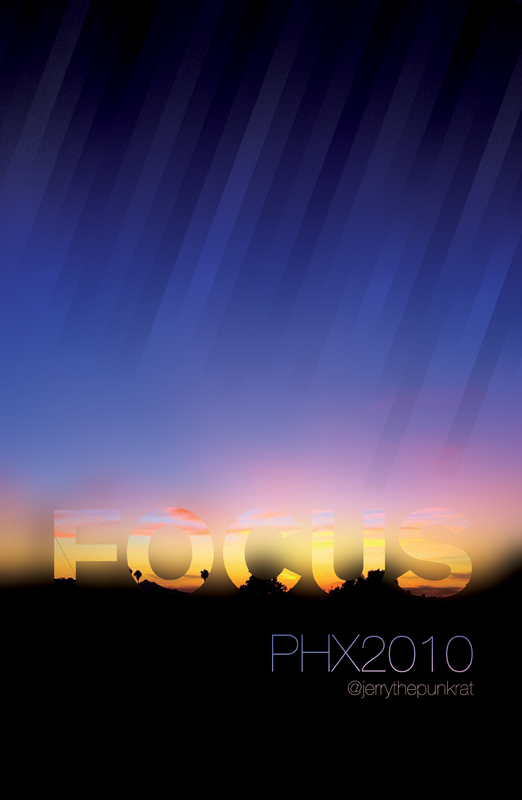 Here's one more step in that direction: a poster design centered on this idea of "focus."